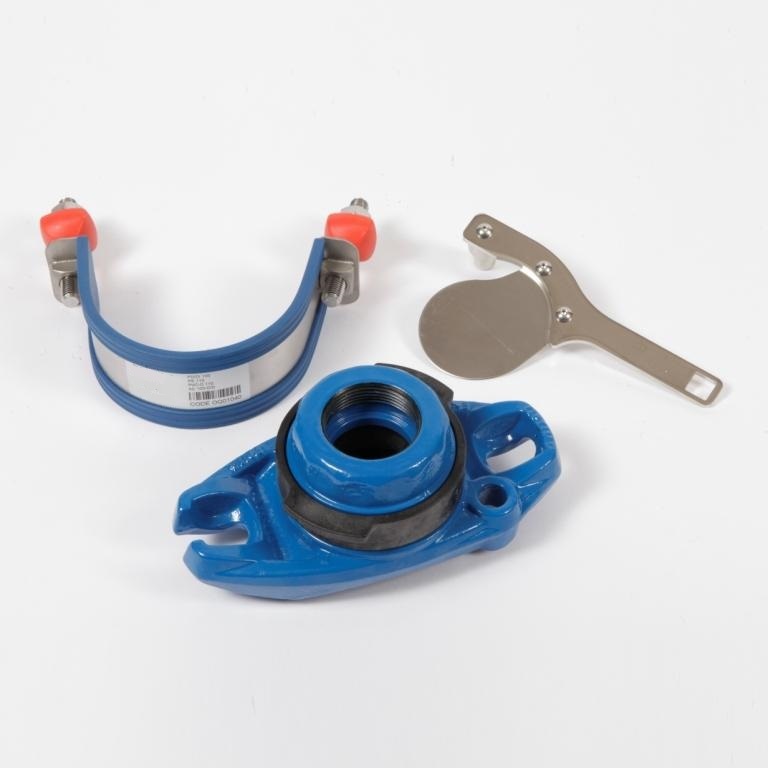 Hot Tapping Saddle (HTS) - CASCADE PLC - The new home of Cascade Clamps UK Ltd, Suppliers and Manufacturers of pipe fittings to the water & gas industry. The Cascade Hot Tapping Saddle is a clever and simple way to make connections in a water supply network. 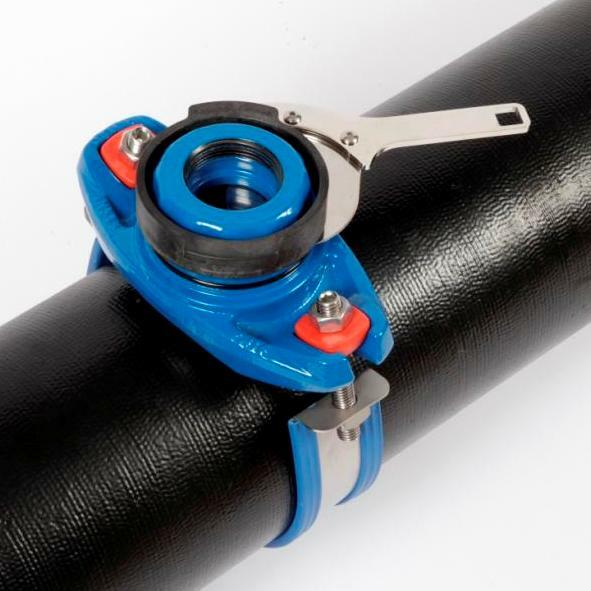 Its specially designed double joint gasket makes a firm grip against the pipe, and the safety collar ensures no water escapes from the blade access point. Install is made easy with the strap held firmly in place by one solid lug and an open lug on the opposite side, allowing the user to bend the strap round the pipe and into the open lug, once tightened the HTS will sit securely on the main. Two rubber seals form a tight hold against the blade which makes it perfect from drilling into the main, once the drill is retracted the blade simply slides into place, enabling the drill to then be removed from the fitting. Available in sizes from 3/4", 1", 1.5" and 2" and will suit pipes up to 12" in diameter. Please see our downloadable E-Brochure from more information .